A while back I was reading somewhere online (ok Forbes) that Less than 20 percent of American adults speak a language other than English. It piqued my interest because as a second language speaker in Italy I thought what about Europe? In The Guardian apparently just over half of Europeans (54%) are able to hold a conversation in at least one additional language, which is pretty impressive considering so many university and high school classes in Italy focalize on a more theory-based curriculum. It got me to thinking about the beauty in speaking a second, third or (I’m looking at you Dutch people) fourth language and more importantly, considering the myth I grew up with that only kids and their cerebral sponge brains can effectively pick up another tongue. I stumble over conversations with my very patient in-laws who speak no English and insist my French is getting better (bless their souls). To be honest, I never thought I would be learning a third language at the ripe age of 32 and it freaks me out. However, I never knew I would be married to a pretty awesome French guy in Italy either. Quite frankly, the aim of this post is merely to show support for others who might be going through the learning-language-as-an-adult saga in a fun way while attempting to debunk some popular myths around language learning in my very non-scientific yet honest and forthright human reasoning. Furthermore, I want you to add your personal perspective if you’ve struggled with learning a second, third or fourth languages. I welcome tips and suggestions so please comment with any you may have regarding this post! All I know is my own experience and I don’t pretend that anything I have to say in the matter is complete and utter truth. In fact, I commissioned the help of a Facebook group Italian Reflections to let me in on their own mistakes and tips which proved to be a really interesting discussion online. 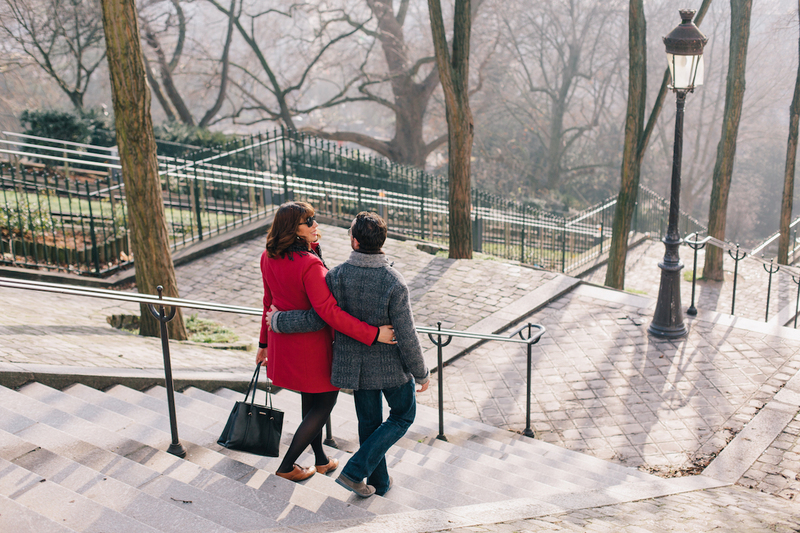 Myth °1: Having a foreign spouse means you’ll learn immediately! Just have him speak to you only in ___ language! Wrong. I always smile when someone says “oh your husband speaks French, you’ll speak it in no time.” Uttered every innocently of course from people who have no idea of your struggle as you wince something that sounds like an excuse. While it might seem easy to switch from one language to another with relative ease, it really isn’t. I wish it was true but it isn’t in my personal case unless we’re talking about Italian and English, which took years for me to feel comfortable with. Humans beings (or maybe just me?) have a tendency to be lazy, we want to communicate and we want to be understood. Me, hello, I’m a native English speaker a “Tuscan Texan” that has embraced Italian and a sprinkling of French. Him native French, but speaks perfect English and Italian. Just to mix things up or to make our lives more complicated, we both live in Florence Italy. You would imagine that by already speaking Italian, French would be a piece of cake, the icing on our cupcakes but not really, it’s different. We aren’t surrounded by French speakers and I’ve found truly learning a bit harder than I expected, but this is also said knowing that I haven’t taken studying, speaking or learning all that seriously until now. Making French meals and listening to the occasional playlist does not make me a French speaker no matter how much I want that to be true. Some might assume that teaching their spouse their native language is a marital duty but the reality is that day-to-day life gets in the way. Does that mean I’m lazy and that he should feel bad? Not really. 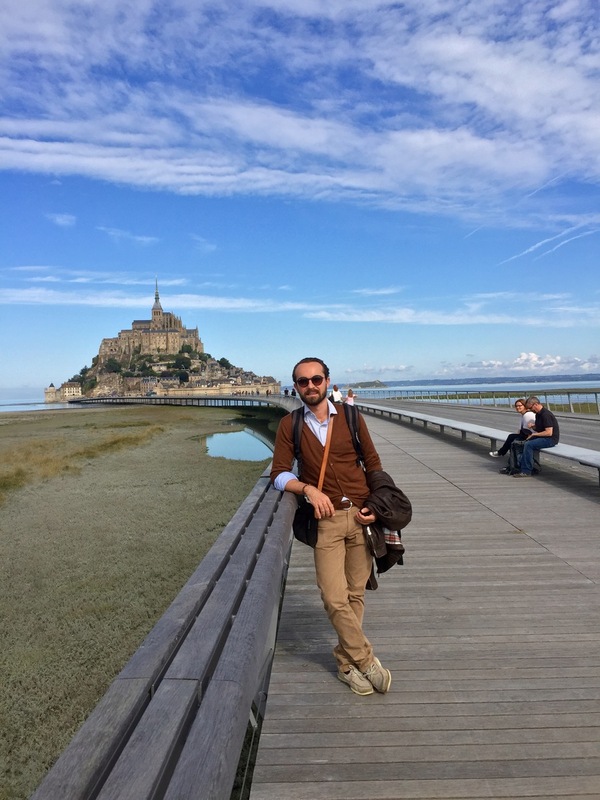 Cute French husband in front of Le Mont-Saint-Michel, a rocky island in Normandy, France. Our first year of marriage is about building a life together, which means spending time together. Conversation flows mostly from Italian to English and vice versa, it can be confusing to the outsider but makes total sense in our world. I look forward to the beautiful day when it will flow as easily in French. The thing is, we all know how awkward it can be correcting someone’s language skills on the spot, it can lead to fights, tears of frustration, misunderstandings. I’m really trying to not make Nico my translator, as it is so easy to default to that, plus the poor guy deserves a break. On the flip side, I’m completely motivated to eventually learn his language because I am in total lust with French culture. We recently spent a week in Brittany and Normandy, driving our tiny car to picturesque towns that looked straight out of a storybook. 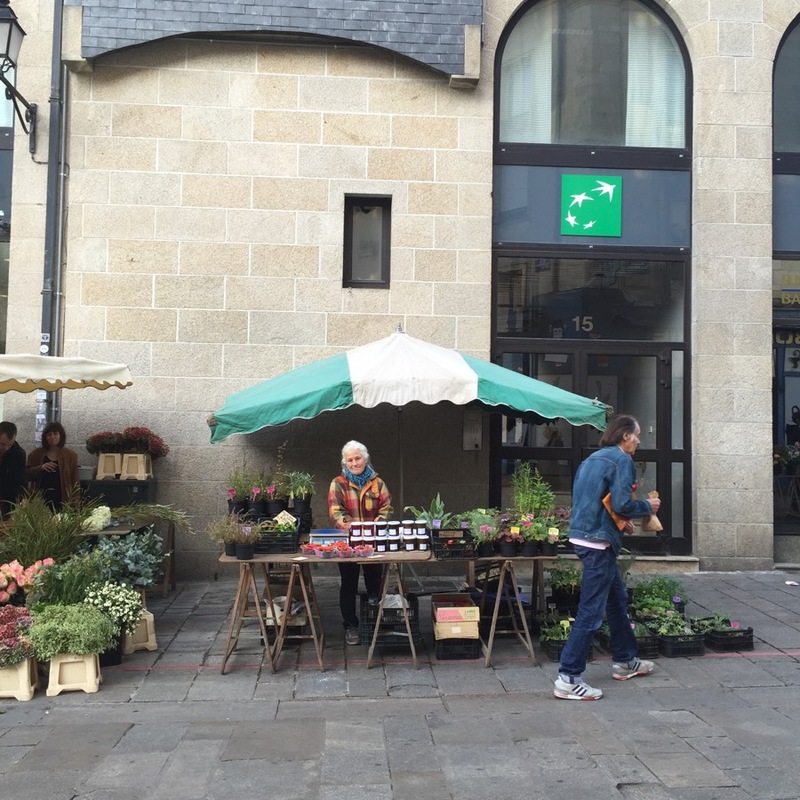 I ran around the expansive Saturday market in Rennes (capital of Brittany) eagerly reading all of the labels for fruit and vegetables. It’s the prettiest market I’ve ever seen. I tried to order wine, oysters, and confidently threw out easy every-day phrases at bemused hotel staff. In fact some of them even thought I spoke French until they moved past present tense, that’s when I tensed up, turned red and looked to Nico to save the day. That being said, the motivation is there, the key now is that I know I have to put as much work into this as I do everything else. This isn’t an 10 minute a day hobby, this has to be life. Myth °2 Just move to the country and you’ll be speaking in no-time! Don’t get me wrong, I do honestly believe living in a small town where no one speaks your native language would help. How could it not unless you never leave your front door? To be fair, if you move to Le Marche, Molise, and you might be forced to learn by default as they aren’t tourist hubs like Florence. But just moving to Italy or France won’t automatically make you fluent, at least not for everyone. Here I find that shopkeepers will often reply to you in English even when you start conversation in Italian. One of the biggest mistakes I made while learning Italian was relying on the fact that I learned mostly from living with the Italian family of my ex-boyfriend. Sure, I picked up conversation fast as you can expect as his mother yelled simple Italian phrases with an ever-increasing volume, (she thought I couldn’t hear her) but that wasn’t the issue. What leads me to use the word “fluent” isn’t just spoken, but also written. My written Italian was frankly crap, and despite me reading newspapers and short books, it wasn’t really getting better because my grammar base wasn’t there. I was faking it in a way, guessing most of the time and eventually the guesses got better but did I really get how the language worked? No. You need discipline and personal motivation to do the grammar and annoying parts at home on your own as well and many people (i.e: me) don’t do that. This time around with French, I’m trying a different tactic. After downloading the odd Duolingo app and watching movies with subtitles and listening to music, I still wasn’t getting anywhere. So I did what I should have done long ago, I signed up for a course where I would be awkwardly thrust into adult schooling. I signed up for 60 hours at the French Institute here in Florence, bought the books and I aim to tackle the grammar as well as I down a moscow mule on a Friday afternoon. Conversation can be done with Nico, but he himself would go crazy trying to convince me exactly how to pronounce the French “e” or slowly pronounce a tricky liaison. I want to stay married after all. On another note, he is impressed on how I’ve managed to learn the numbers 1-20 with ease, it puts me at the same language level as a two-year-old. Back on the French lesson wagon this morning which gives me the chance to peek in Ognissanti church (its origins date back to the 13th century by the Umiliati order but it was rebuilt in a more baroque style in the 17th century. Ognissanti is dedicated to all the saints and martyrs, known and unknown. A wondrous place in one of my favorite piazzas in #YourFlorence. Don't miss the monumental last supper by Domenico Ghirlandaio, painted in 1480. Myth °3 There is the perfect solution (aka Rosetta Stone) for anyone to learn in three months! Really? 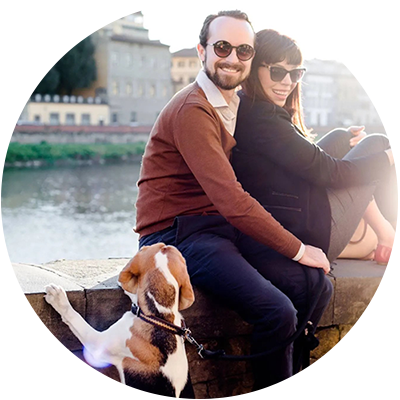 You have no idea how many friends I have who have purchased the Rosetta Stone language learning course with high hopes of throwing back grappa with seasoned locals in Italy in no-time at all. Cue to reality while actually visiting Italy and barely a phrase of Italian was spoken, except for the occasional verbal-thrust of “cappuccino and pizza”. The biggest thing I learned about understanding a new language is that there is NO one-stop-shop method for learning a language. You might be having a marriage with verbs, I might be in an illicit “liaison” with conversation. Example one: Nico and I are completely different and that should play into how you learn languages. Before he came to Italy, he spent three months listening to language-learning tapes and memorizing verbs and this worked for him. Because he had understood the structure behind the language (and French and Italian are similar), working in an Italian environment meant that in just a year he was speaking like a local. Me on the other hand, would be more likely to fall asleep at the mere thought of that. I need stimulation and conjunctions in French scares me. What has been working instead is embracing a combination of exercises that yes include heavy vocabulary, rote, but also mingles in conversation, podcasts, music and movies. Things I actually would do anyway. I have also been getting into a show called “Un dîner presque parfait” which is basically the French version of “Come Dine With Me” featuring locals throwing dinner parties and getting voted on their evening. I’m interested in food and I find that the show peaks my interest because it isn’t merely dialogue, they are chopping vegetables, shopping at the market and I might only get one out three words but I stay watching. 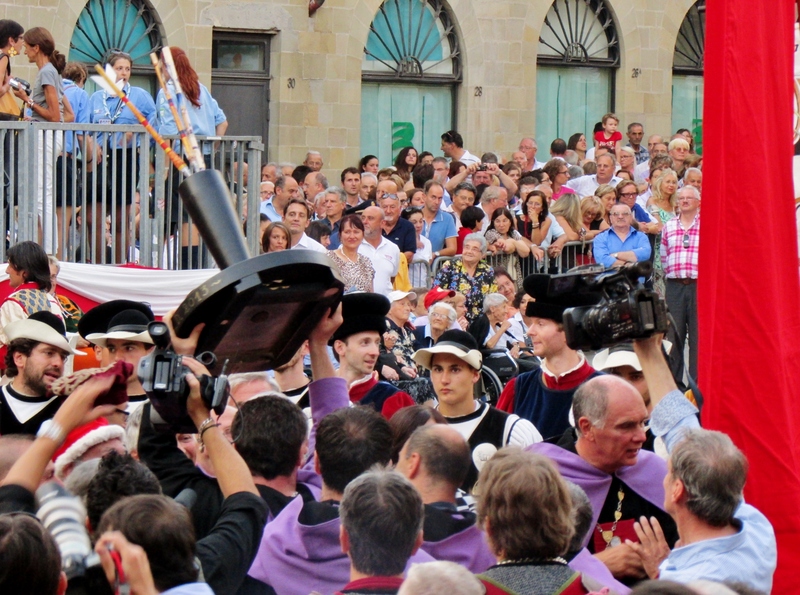 I learn about local culture too, and just how serious French people take home cooking competitions. My attention is apt to wane fast and knowing that, I’ve adjusted my way of learning. However, as I mentioned before I am learning to take vocabulary seriously this time around and not fall into the trap of being “understood” but not really correct. Also learning vocabulary that was right for me, what I do on a daily basis as opposed to remote past conjugations helps a lot too. It’s often said that you can’t teach an old dog new tricks, but that’s not really true is it? I’ve heard this sentiment ever since I was born. By the way I’m pretty sure Spanish was my first language but after my parent’s divorced that got lost in some sad language abyss. I completely believe that as an adult you can learn multiple languages if you want it badly enough. I always use Nico as the example. When he speaks Italian, no one locally even knows that he is French (no one says that about me), and he learned in his early twenties, not at the age of three. I also have the tendency to success stories like this, the only issue, I should be reading this in French. What remains one of the most important things to remember during this often frustrating process is that you are going to make mistakes, in fact so many mistakes that you will laugh about it all later. I’ve said the most offensive of words to all kinds of people (it seems like every third word in Italian means something kind of dirty), my mother in law included. It’s going to happen and don’t let that be a deterrent to speaking in public. I loved this advice from a website about language learning I read recently “Does it take time and focused commitment? Absolutely! Can it be scary and intimidating? Sure! But is it “hard”? Not necessarily. Your attitude towards language learning is the biggest factor in how difficult or easy a language will be to learn. Ciao Maaike, thank you for your comment, that’s helpful to hear. I feel like Rome might be better in those circumstances than Florence where people tend to respond back to you in English or just speak straight English to you. I’ve actually met a fair amount of people who have lived here for years and don’t speak Italian, but that is more because of the circles they hang out in. Great read, Georgette. I can especially relate to “… just moving to Italy or France won’t automatically make you fluent, at least not for everyone.” I’ve got one friend from home in particular who is terribly bothered that I have not mastered the language yet. As far as I know, she doesn’t speak another language, nor has ever lived abroad…and, she swears another friend became fluent in Italian via Rosetta Stone. Yeah, um, that didn’t work for me. Tried it. Really enjoyed and found lots of comfort and inspiration simultaneously in this post, Georgette. Thanks for sharing! The part about changing languages within a relationship really resonated with me. When I met my Italian husband nearly 10 years ago now he spoke excellent English and I spoke about 3 words of Italian. Our relationship was mostly long distance for the first year and a half, which meant our language was cemented in English. I’ve found that to be especially the case for him. Even when startled out of a dead sleep at night by a loud noise he will speak to me immediately in English. THAT is a language preference in the brain that is hard to change. But certainly not impossible – and the not being lazy about it part is key. You’ve inspired me to get my Italian grammar book off the shelf again. Thanks! Thanks Georgette, this article has been very helpful and just what I needed to read at this time. I’ve just started my second year of learning Italian at night school and after an extra long summer break and an embarrassing and confidence sapping first class where I felt like I couldn’t remember any of the grammar I had previously tried to learn (I struggle with grammar and learning verbs at the best of times), this has hopefully put me back on track again. Ciao Georgette! Your article is very interesting to me, as I am learning (trying to learn) both French and Italian. I started with French at the adult classes at the local community college, then re-started with Italian when the French classes ran out. Fortunately the Italian instructor is very good, and I have continued with her in private class that meets for two hours once per week. We study grammar and do grammar exercises every week, and each student must research and make a 15-minute presentation every week. My Italian is now pretty good, and I can speak with native speakers in normal conversations on Skype (we connect via italki.com). In the meantime my daughter started at a French school so I re-started French lessons. French is much more difficult than Italian, in my opinion — more irregular, more exceptions to the grammatical rules to memorize, and they are more particular about pronunciation. So good luck to both of us on that! I started studying my first foreign language (Italian) at the age of 60 and now am studying Spanish. It’s completely doable if you put the time in and really want to learn. I use Duolingo, watch TV news and soap operas, and read blogposts in my target language. 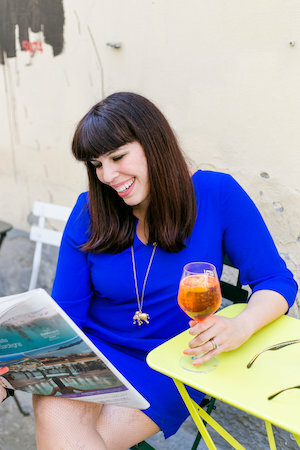 Thanks for this article-I enjoy reading about your adventures in Italy. Maybe we can meet for a glass of wine next time my husband and I are in Florence! Buon fine settimana! This is a sweet post because I suspect it makes many feel less alone for sure. I am surprised at the 20% stat of the US since I assumed that the Hispanic population would have upped that. “per favore!” I smiled, wondering why he never accepted my request in the first place. But my landlord was listening to the exchange, so I beamed a smile over to him. My problem is that I have not wanted to take the time to study Italian when I first came over to study other subjects (and sadly the schools here were in English and most of my time was spent in that world). I made a point to make local friends and try to fumble my way through and yes, I believe even listening to conversations on TV, youtube, or radio help, even when I am working and thinking of other things and not properly paying attention. What I find most interesting is that in some ways I learn more about English (as I rack my brain to think of how many ways we say we “begin” for example, so that I can “fake” my way through Italian.. to guess “cominciamo”), while other times, now after many years in Italy, I use the Italian word and cannot seem to recall the English one. Excellent post Georgette! I’m so glad you touched upon something I neglected to mention when I made my comments on IR – different learning styles. My uni degree was in linguistics and I’ve always been a ‘bookworm’ so I enjoyed learning Italian and French in ways which involved analysing language and reading. Not everyone is the same though and you’re completely right to point out the different methods you and Nico have used. As someone who has taught English in the French system for several years now, I can see why Nico’s way of learning worked for him (the French system places a big emphasis on verb conjugation and learning ‘metalanguage’, plus, as you say, French and Italian are similar) but is less appealing to you. Music, podcasts, pilates classes are definitely more appropriate to those of us who process information in an auditory or kinaesthetic way. Thanks Rosemarie, I appreciated your advice as always! Interesting that your degree was in linguistics, I had no idea but it makes sense now with your lovely writing style too :). You are very right about the French system, Nico always explains it as “verbs first” conversation second and using a more rote methodology to learning, which apparently worked for him. My brain works a little differently than his hence my need for a moe multi-sensory application to language learning however the verbs are a must no matter how much I cringe. One thing that I am also leaning to do is to look at my notes every single day, leaving it a week or two means I lose a lot while even just glancing at the book daily helps jog what I’ve learned into my memory. It’s a process! Such a timely post, as I plan on starting my Rosetta Stone by year-end (or First of the New Year) as a first step in the process of learning Italian. I also have several early-education language and picture books, so hopefully that will help as well. My interest is definitely piqued by the concept of “Come Dine with Me” or “EatWith” (www.eatwith.com) – sounds like SO much fun (though possibly frustrating)! Good luck with learning French – what a cool thing to be potentially tri-lingual! Ciao Wynn, always nice to hear from you! I would even add Masterchef Italia to your repertoire as that too is a very “manual” not only dialogue formatted show and it would be fun to watch anyway. Keep me posted on your progress and I wish you luck. Let’s see after a year if my French gets good enough to not rely on Nico to translate everything when we’re in his hometown. Thanks, again, Georgette, for a fun read! I’ve been learning Italian for the past 20 years and it’s an on-going process. I don’t live in Italy, but travel there frequently, bringing groups, going to Travel Trade Global etc, so I throw myself in every possible situation that I can to practice. At home, I subscribe to RAI international on Dish network, so I am passionate about watching game shows like Reazione a Catena and L’Eredita’ to practice. I also love Montalbano and even make myself watch Don Matteo…just to see I can follow the stories. Love your Texas, Italian, French stories so you are part of my learning process too! My pleasure Sharon! You definitely are smart to watch Rai and other Italian language programs, I’m certain that could help quite a bit. Nico actually told me it was the game shows that really jump started his Italian comprehension, especially the word guessing ones. My aim with this was to share frustrations, stories and just sort of be a support system for one another online. I really have been down on myself regarding not picking up French quickly enough and it’s comforting to know that I am not alone. Oh, I love Master Chef here – it would be such fun to watch the Italian version. Thanks for the rec! When I was traveling through the Pisa train station in 2013, I had a simple exchange (ordering lunch at a sandwich counter) and it was entirely in Italian. I was SO proud of myself, and grateful the gentleman serving me didn’t resort to English. 17 years ago I moved to Florence for 6 months to learn the language in a little private school (Accademia del Giglio is EXCELLENT, if you need tutoring). I still remember the day I could form a complete sentence in conversation class. I’m from Finland, there’s only 6 millions in the world who speak my language, so I’m used to learn foreign languages since I was a little. 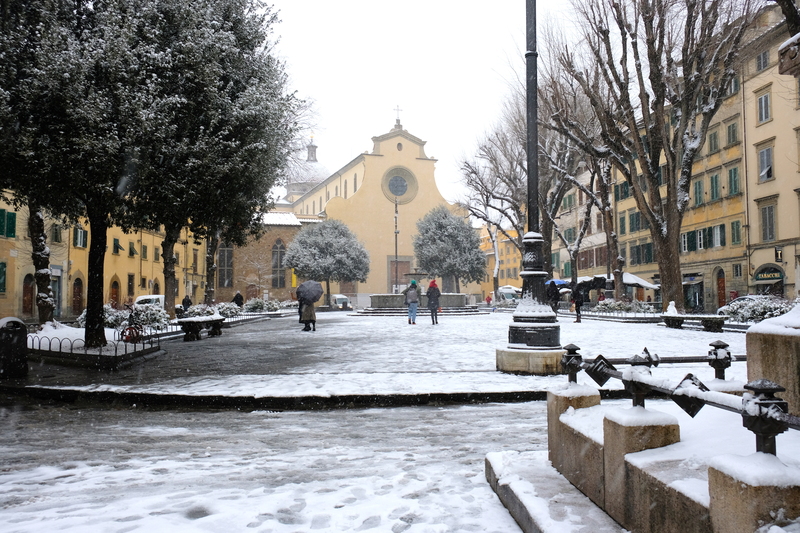 By the time I moved to Florence I had already studied English, Swedish, Latin and French. Still learning Italian was absolutely the hardest I’ve ever done. It’s totally different to live surrounded by the natives who don’t speak English than go to school for a couple of hours and then speak your native language the rest of the day. Ciao Minna, thank you for sharing. I’m a big fan of Finland by the way, we’ve been during the Santa Lucia festival and the midsummer events. I’ve always had a strong admiration for your Northern Europeans and your very adeptness at languages. But it is quite comforting that you struggled with Italian too. The thing about Florence that you touched on is the fact that people speak so much English here and that there is a big international community. You have to try harder, put yourself out there more, get an Italian roommate. Ps. thanks for the Italian language school recommendation, it’s always good to know as people ask me about them a lot. That’s nice to hear that you like Finland 🙂 When I was living there I was mostly hanging out with my fidanzato fiorentino and he and none of his friends didn’t speak English at all, so I had to literally learn to speak again, like a baby, word by word. But it was great, there’s only so much you can learn in a classroom. Great post Georgette. I know the struggle well. Everyone thought I’d learn Italian in no time once Carlo and I got married. We’ve been together for 10 years and we still can’t speak to each other in Italian. It’s just too awkward. Learning it on my own really has been the best method. I agree with Amanda, that learning via a subject you are passionate about it is a great way. I learned by watching makeup tutorials on Youtube! haha.. I couldn’t carry a real conversation but I could totally hold my own at Sephora. I took French in HS but that was 20 years ago but learning Italian has brought back all of those rules and now I can remember certain words in phrases. I’m hoping I’ll be able to relearn it someday. I think you’ll do just fine. Thank you for this post. I never felt it was hard but just making the time for it, that was the hard part. I grew up in S. Louisiana and didn’t speak English until in the 2nd grade, I learned “Cajun French” as it was the language spoken by my parents, grandparents, aunts & uncles. I learned English the hard way while trying to hang on to my French. Sadly that language is becoming lost as time goes. I’ve been lucky enough to travel to France a few times and managed to speak and ask for things in French, my dialect but it worked. I’ve often thought it would be great to take a formal French course and at 55 I may still do that. I’ll get to that eventually. Meanwhile, I’m using Duolingo to get the basics of Italian. My partner has gotten further along and has also had skype meetings with Italians who want to learn English while helping with his Italian. I now have a break from other things and will go back to Duolingo and work on more of the basics. Excellent post, Georgette! I learned French from primary school to high school graduation, and though I’m MANY years older, I can still “get by” for the most part. Two decades later, I took on Spanish and later, Italian. It is more challenging to learn another language as an adult, perhaps because we have less time to focus on studying. Even though Canada is officially bilingual (English and French), I’ve had more opportunities to use the Spanish I’ve acquired, though I try them all out when I travel. Unfortunately, I tend to speak in sentences with words from the various languages. I take advantage of opportunities to *try* speaking in the additional languages, usually with the rough preface “Sono Canadese, y hablo Inglese. Je sais un peu de Francais, un poquito de Español, e un poco d’Italiano. Quando parlo, io parlo bits and pieces de las languas. Je m’excuse, per favore.” That usually gets a laugh and I have a conversation with many interesting people. As long as I can laugh at myself, and don’t mind others laughing at/correcting me, and if I can comfortably admit when I don’t understand something, it’s not so intimidating. People are basically kind and will try to help me along, delighted that I’m making an attempt, awful as it may be. Learning an additional language and its nuances is a constant work in progress. Sounds like you’re up for the challenge! Thanks for this! I’m single and 51 and just moved from Dallas to Vieste! I’ve met the six or seven people here who speak English and I realize I will need to not seek them out, and will need to just jump in and be unafraid to make mistakes. It’s the only way, but it’s scary! I love your blog! Thanks for busting these myths! It drives me crazy when people think just living in-country automatically makes you fluent. (I probably thought the same thing at one point though.) I would loooove to speak better Italian. 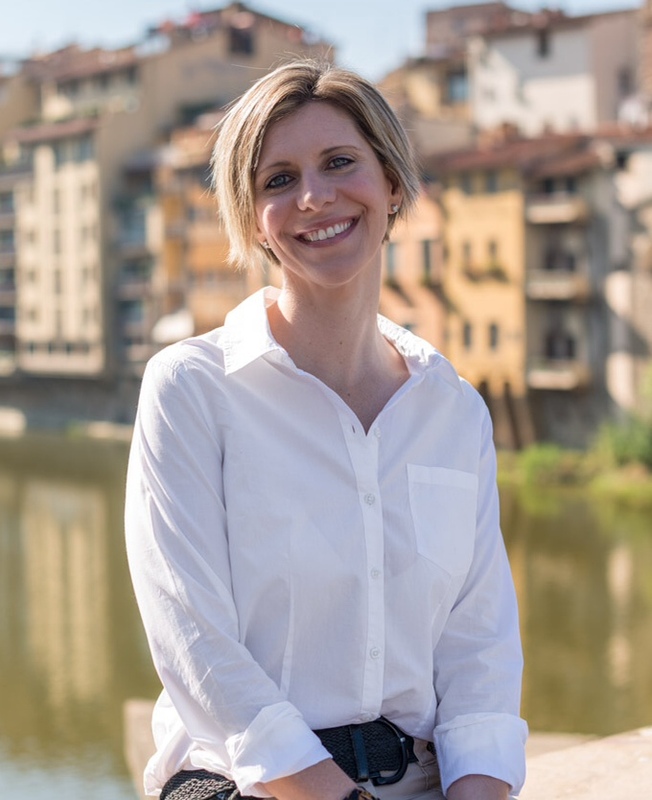 When I was in Florence, everyone spoke English to me 🙁 French is not easy, especially at first – it’s awesome that you’re working on a third language! If you don’t know about commeunefrançaise.com, I highly recommend it – she has awesome content for everyday French and cultural topics and expressions. Bon courage ! Thanks Catherine, I want to feel like I actually have a chance at this and don’t want to convince myself that it’s impossible before I begin. Florence is probably not the best place to learn Italian unless you shy away from the International community, it’s a little easier for Europeans (my personal opinion). I will check out that website, thank you!!!! French is just awkward at the beginning because of the tricky pronunciation, in my opinion – once you get on a roll it gets easier and easier 🙂 Bonne chance ! My husband and I used Rosetta Stone to learn Italian and I listened to Italian pop music as well which was helpful. While we didn’t get through the whole curriculum before we flew to Florence, we knew enough to put ourselves out there. I couldn’t believe how nervous I was to speak to our non-English speaking cab driver. But after I managed to spit out a few words in Italian about which hotel we were staying at, my confidence grew. We definitely made mistakes – especially when ordering out in restaurants but we found that they were willing to correct us and help us, since we were willing to learn. Our second night in Italy my husband ordered a glass of wine in a coffee cup – and fortunately they let us know – and taught us the right word for wine glass. Now we’ll never forget it! This was a great post. Thanks! Great article Georgette and a topic that generates a lot of interest! I started studying Italian at the age of 50 in preparation for our first trip. Since then we have “rediscovered” our roots, have made annual trips there and obtained dual citizenship. My husband and I were raised in Italian American homes but the dialects were only spoken by our grandparents. It is my passion and joy but even so I don’t study as diligently as I need to!! I have taken classes through C2, used CDs, watched movies and tv shows, bought dozens of books – literature as well as grammar, etc. I think it really takes a combination of book study, classes and “on the street” opportunity for conversation to really make progress. What a thrill it was, that trip where I made the leap to conversant. Wow!! To just be able to speak without pre-planning the sentences in my head!! I was sooooo excited!! What really helped was a weekly get-together with two friends, one of whom was pretty fluent and the other definitely conversant. Next goal is language classes in Italy!! I laughed out loud when you said Nico was impressed at your ability to learn the numbers 1-20 so quickly, putting you at the level of a two year old! Having one extra language makes getting more a bit easier (as long as it’s something usefully structured and not say, Hungarian or Icelandic). My mom sent me to French immersion in part as she loved French but, she claims, in part because from there I could learn other languages. For me, this was totally true – Italian came naturally as i had the French grammar base, and just moving here and having to eat was enough for me to become fluent in a year. On the other hand, attempts to learn German and Latin failed. As you know, it’s not easy to keep more than one foreign language in your head, so I lost my French (hence the embarrassing conversation with your in laws at your wedding). Being IN the place makes it so much easier. I’m sure if you met Nico while living in France you’d be great at French. Being here, it’ll always be a struggle, but kudos to you for trying! I can totally agree with much of what you have written. I can’t say anything on no.1 though, but definately on the other 3. 2+3.There is no way learning a language in 3 months unless you are some kind language wonder with a photographic-memory-something. Sure, you might be able to ‘survive’ during a holiday stay, but you can’t be fluent or achieve a language level a native has. Even moving there won’t bring the success you thought it would bring unless you have a basic knowledge. I spent a week excavating in Sherwood Forest with the highest certificate of English a non-native can get and it took me 3 days to get used to it. And even after that it was really difficult some times finding the right vocabulary. Especially the specific archaeological vocabulary. The second week this year will be much easier as I now know the words. Without my hard earned -10 year school English resulting in an Alevel course at the end and 8 conventions later- it would have been much harder. 4. This myth is totally untrue. With my nearly 23 years on this planet I speak 7/8 languages (depending on if Latin counts), Italian being my 7/8th language. German is my mother tongue, continuing with English, then via French, Latin, Scotish Gaelic, Irish and Danish to Italian. Sure, English and French were taught at school (As soon as I got Latin my marks in French were a lot better than before 😀 ), but the Gaelic languages and Danish were taught at university. I might not be able to shop in Gaelic, but I understood some major things of these languages. 6 Months with 30 Minutes a week -Christmas and similar holidays are not enough to really get into a language and having a super nice teacher which was not able to really teach us the important Irish structures to really use it within 2 years were not that good. But even after learning French for 6 years (level b2) and not really using it for 3 years I can say I would survive in France but it would be extremely difficult. It is important to be passionate about a language and having teachers that make it fun to learn (my turning point in English was the best teacher I ever had). I had the strength to do level A1In Italian via a free online course on futurelearn but I need a teacher now to go one step further and take learning Italian to a level which leads me to being more or less fluent and being able to survive during a study abroad stay in Italy. It definately belongs on every single person but one can find the perfect way to learn a language in their own speed, no matter how old you are. Great post! For anyone who wants to learn Italian, please try my Conversational Italian for Travelers books on Amazon.com and wwwl.LearnTravelItalian.com. http://amzn.to/2h8cky9. I wrote them for adults, to address all of the problems above. Learning as an adult is truly different than learning as a child the first time, since we have been conditioned to think a certain way by the first language. All that must be forgotten and you must learn to THINK in Italian to learn Italian! Approach it as a fascinating way to get to know another people and their culture – which it is! Georgette, I loved your post about learning foreign languages and all the interesting comments to follow. I am 53 now and was a language major in college Spanish and French in the 80’s. Later I studied Mandarin Chinese. Funny thing, I moved to Thailand in 1989 and lived there until 2001. Owned a business there, had a Thai boyfriend but never learned the language in a meaningful way. I was too busy to take classes and fell into the Expat “Moveable Feast” experience. Deep down, my passion was alway Europe and European culture. I keep in touch with my friends in Spain and maintain a high level of Spanish. But at 50 I was looking for a language challenge. I did the entire Rosetta Stone course in French to brush up. I can say it was a great review but I didn’t really learn anything new. Very frustrating as there is really no chance to converse in French in my daily life here in New York and New Jersey. My Dad wanted to take his wife to Italy on his 80th birthday and so we rented a beautiful home in Tuscany. I thought it would be fun to learn a little Italian before we went so I did some research and stumbled on a language tool called Pimsleur. I was hooked. The entire emphasis is on learning small bits of vocabulary at a time and learning to string proper sentences together instantly. It was such a fun challenge and I was instantly hooked. Entirely aural/oral there are five courses with 30 lessons each. Each lesson takes about a half an hour and I repeated each lesson twice a day. I finished it just before I got to Italy and was amazed by how much I understood and could express clearly. I was often complimented on my pronunciation. Pimsleur won’t teach you a tremendous amount of vocabulary but you can learn that on your own spice it in to what you know. That got me going. I couldn’t write in Italian at that point so when I got home I took an advanced class with a small group of Americans here locally. What a bore. The pace was so slow and the books were painful. I tried duo lingo but found it was just a memory game. It wasn’t teaching me to speak or understand. So I tried Babbel. Very engaging and explains the finer points that Pimsleur just doesn’t give you. And it’s fun. The lessons are fairly short so you can do them in the space of 10 minutes here and there. Works great on the Ipad and it fills in so many of the blanks that Pimsleur leaves you with. Lastly, my favorite tool currently is Yabla.com They will take an Italian miniseries like “Commissario Manara” which has about 20 episodes. Yabla chops each episode into five-minute segments. As the series plays, the Italian and English transcripts appear below. The transcripts are clickable and you can look up words you do not fully understand. You can turn the English transcript off and simply watch with Italian transcripts or you can turn both off and just watch the film. It is quite amazing that after watching the segment two or three times and reviewing the words and expressions you don’t know the whole thing pulls together in your head. It really fine tunes your ear to everyday Italian as opposed to the formal Italian you learn while studying. Pimsleur, Babbel and Yabla are amazing tools that we just didn’t have years ago. They make language learning fast and fun without even leaving the country. 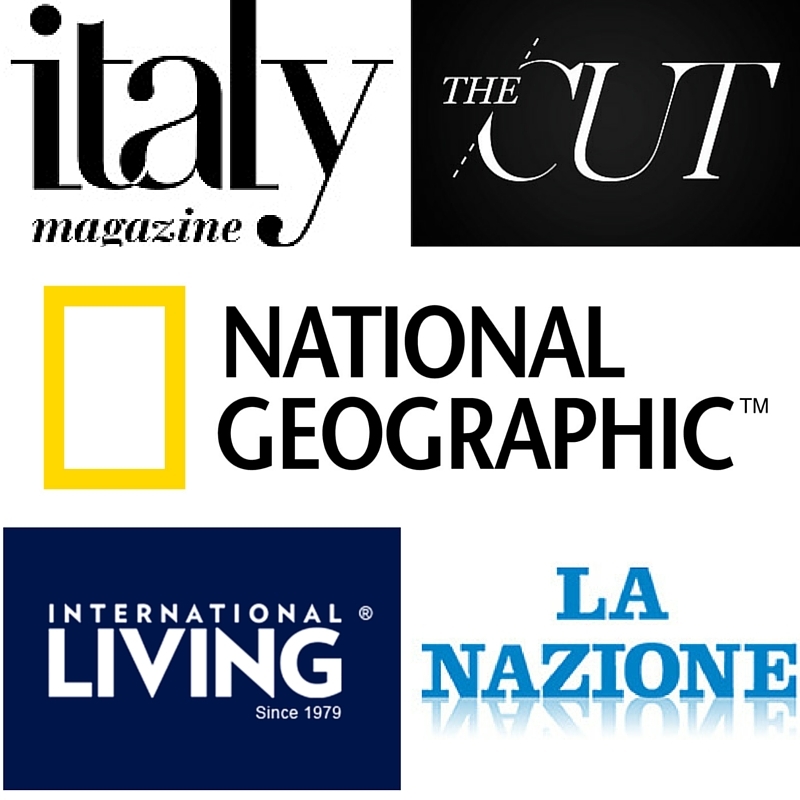 All of them are available in Italian, French, Spanish, German and the rest of the world’s major languages. Georgette, get a good set of headphones and start with Pimsleur from the beginning even if it is too easy for you. Since you know Italian already, the course will have you conversant in GOOD french with a proper accent in no time! Excited to be part of your group and look forward to reviewing your postings. Your writing is lively and engaging. I admire your skill. I’ll be in Alguero Sardegna this July taking private lessons. Very excited. Non vedo l’ora di parlare Italiano entrambi gli Italiani – una lingua che in larga misura ho imparato da solo qui negli Stati Uniti. Auguarami buona fortuna. This is helpful insight! I have also found myself mixing my Spanish and Italian, and have almost lost my Spanish accents for Italian pronunciations. Do you have meet ups? If so I would love to be updated! Yes, yes, YES!! Can relate to everything (not the last myth, English and French are about all my brain can handle!) My husband is French and we live in France but that’s not a slam dunk for picking up the language perfectly. Like your husband, mine speaks near-perfect English and very early on we fell into a habit of speaking English with each other 90% of the time. I think sometimes people who have no experience with language learning or living abroad assume a lot about how a language is acquired, so good on you for writing something like this. I enjoyed the read and write about a lot of the same topics, but as an American in France. 😉 Happy to have discovered your blog! Thanks Diane! I just finished my first 60 hour course and I still feel super lame when speaking. I know it will take time and I tend to get frustrated but at the end of the day, when you’re in a relationship communicating effectively comes before “hey let me teach you my language.” Everyone says when we have kids I’ll be more fluent but we shall see! I’m happy to have discovered your blog too! I write alot about language learning, especially learning Italian and I really enjoyed this particular post. You’re absolutely right in that there’s no right way but I think the common thread is the cliché of hard work and motivation. I actually fell into Myth #1 which didn’t turn out to be a myth in my case because this is essentially how I got good in Italian- when I met my husband almost nine years ago in Canada, I immediately enrolled in Italian courses. As soon as I had just the thinnest basis (present, past, future), I believe he started only speaking to me in Italian and he is still very good at this to date! I’ve talked with many an expat friend though where this just does not work for them as a couple because as you said, the desire to communicate, especially after a hard day’s work, is a priority over language acquisition! P.S. The blog world is small, I have creepily seen that Diane of Oui in France left a comment, LOVE HER. I personally have two native languages because of my country’s history, we were a colony very long time. Also we all speak English at some level and study it at school and college/university. I thought it was enough for me to communikate with whole world by the internet but then I start travelling and oh my Gosh how i was wrong. Africa? French and German please. Spain? Spanish and German please. France… Well, you know. Every European country has it’s own language and people in some countries like Spain and France just hate when English speakers don’t even try to speak at least a little in local languages. So I started learn French at 27 yo and I found it less difficult then in my teenage years! I’m more educated now, I have more expirience and motivation. I’m dedicated to my stydying and I’m not doing it as a tedious obligations but as aid and support in my travelling. By the way I had my big breakthrough with English when I started to read online published novels with colloquial slang and modern abbreviations. I was trying to translate fanfiction for those who can’t read in English at all, watched shows with subtitles thus I could listen and read English at the same time. I’ll definitely try the same way with French, I hope it helps. Also thank you very much for all of this tips&tricks, they’re very-very helping and inspiring.